Our content is niche and unique to vintage Volkswagen purists. We feature tips, tutorials and interviews with some of the best in the business. 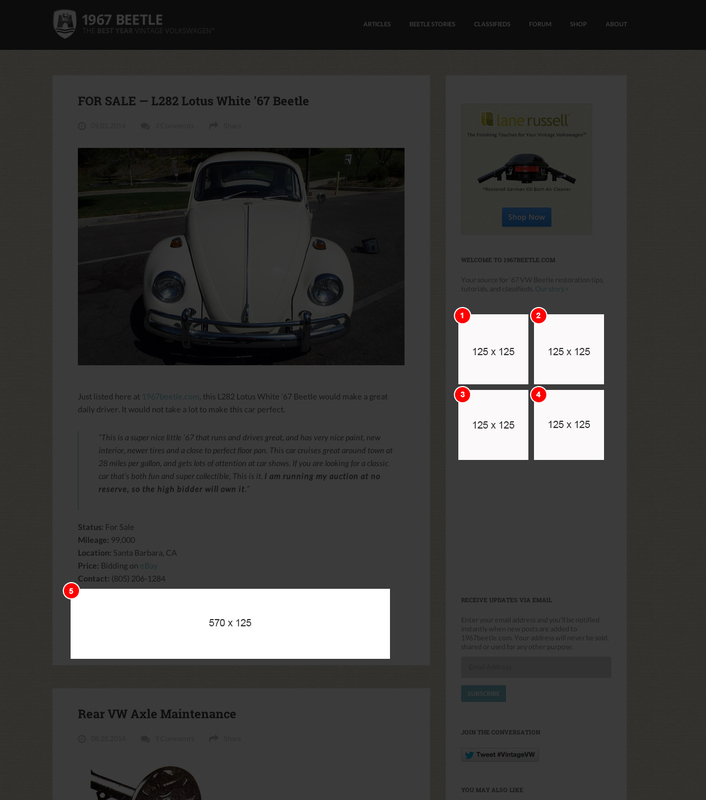 Our readers are genuine VW enthusiasts that value quality content that is catered to stock restorations. Note: To advertise, your content must align with our audience. Ads will run for 30 days and are renewable after that. File formats: JPG, PNG, GIF. Animation must be minimal so it’s not distracting (3 loop). Don’t have a banner designed? Not a problem. Please mention that when you inquire. There is a flat fee for design services. Post must be at least 200 words and written in an informal and natural manner – no marketing spam allowed. 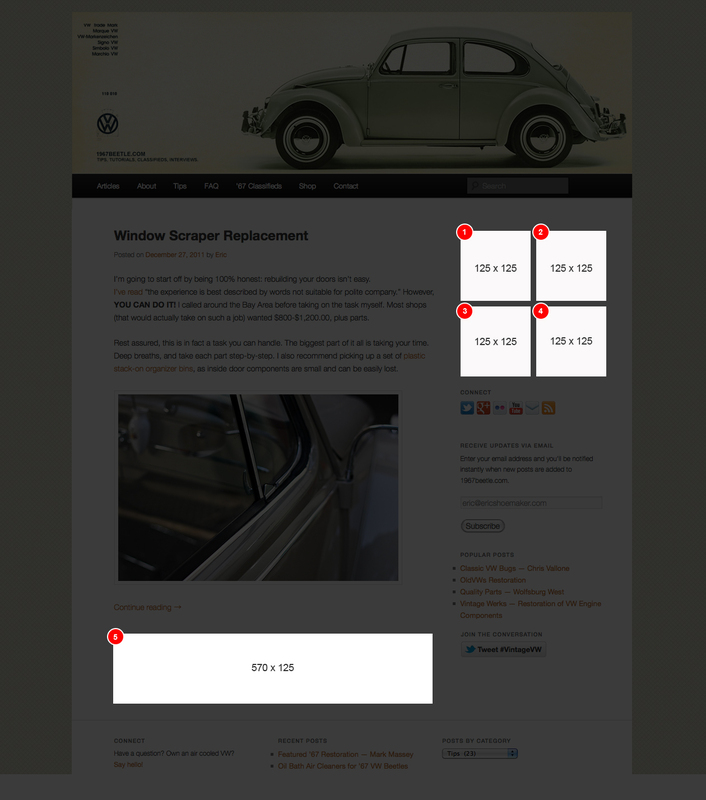 The product, event, or service must practically apply to the 1967beetle.com audience. Blog post may contain up to 2 primary keyword links. Are you interested in hosting a contest or giveaway for the vintage Volkswagen community? Want to give away some fantastic NOS parts, or your product or service? Connect with me and we’ll talk about how to best position your business. Contact me directly for rates and other info. I’m available to answer any questions you may have about advertising at 1967beetle.com. Thanks for considering us for your sponsorship needs!